RavenDB uses X509 certificates for many purposes. One of them is to enable authentication by using clients certificates. This create a highly secured authentication method with quite a lot to recommend it. But it does create a problem. Certificates, by their very nature, expire. Furthermore, certificates usually have relatively short expiration times. For example, Let’s Encrypt certificates expire in 3 months. We don’t have to use the same cert we use for server authentication for client authentication as well, but it does create a nice symmetry and simplify the job of the admin. Except that every cert replacement ( 3 months, remember? ) the admin will now need to go to any of the systems that we talk to and update the list of allowed certificates whenever we update the Let’s Encrypt certificate. One of the reasons behind this 3 months deadline is to ensure that you’ll automate the process of cert replacement, so it is obvious that we need a way to automate the process of updating third parties about cert replacements. This design applies only to the nodes for which we authenticate using our own server certificate (thus excluding Pull Replication, for example). Keep track of all the 3rd parties RavenDB instances that we talk to. Whenever we have an updated certificate, contact each of those instances and let them know about the cert change. This is done using a request that authenticate using the old certificate and providing the new one. The actual certificate replacement is delayed until all of those endpoints have been reached or until the expiration of the current certificate is near. Certificate updates are written to the audit log. And you can always track the chain of updates backward. Obviously, a certificate can only register a replacement as long as it is active. The updated certificate will have the exact same permissions as the current certificate. A certificate can only ever replace itself with one other certificate. We allow to do that multiple times, but the newly updated cert will replace the previous updated cert. A certificate cannot replace a certificate that it updated if that certificate has updated certificate as well. Cert A can ask the RavenDB instance to register updated certificate B, at which point users can connect to the RavenDB instance using either A or B. Until certificate A expires. 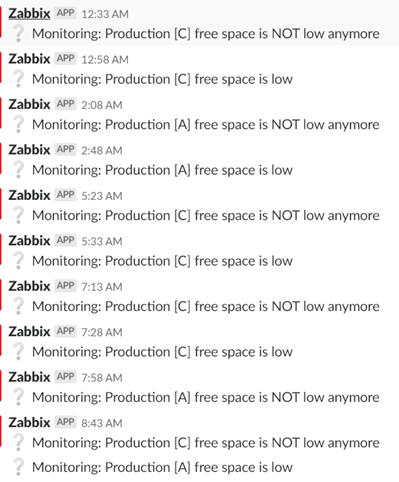 This is to ensure that during the update process, we won’t see some nodes that we need to talk to using cert A and some nodes that we need to talk to using cert B.
Cert A can ask the RavenDB instance to register updated certificate C, at which point, certificate B is removed and is no longer valid. This is done in case we failed to update the certificate and need to update with a different certificate. Cert C can then ask the RavenDB instance to register updated certificate D. At this point, certificate A become invalid and can no longer be used. Only certs C and D are now active. Certain certificates, such as the ones exposing Pull Replication, are likely going to be used by many clients. I’m not sure if we should allow certificate replacement there. Given that we usually won’t use the server cert for authentication in Pull Replication, I don’t see that as a problem. The certificate update process will be running on only a single node in the cluster, to avoid concurrency issues. We’ll provide a way to the admin to purge all expired certificates (although, with one update every 3 months, I don’t expect there to be many). We are considering limiting this to non admin certificates only. So you will not be able to update a certificate if it has admin privileges in an automated manner. I’m not sure if this is a security feature or a feel good feature. We’ll likely provide administrator notification that this update has happened on the destination node, and that might be enough to allow updating of admin certificates. I got into an interesting discussion about Event Sourcing in the comments for a post and that was interesting enough to make a post all of its own. Basically, Harry is suggesting (I’m paraphrasing, and maybe not too accurately) a potential solution to the problem of having the computed model from all the events stored directly in memory. The idea is that you can pretty easily get machines with enough RAM to store stupendous amount of data in memory. That will give you all the benefits of being able to hold a rich domain model without any persistence constraints. It is also likely to be faster than any other solution. And to a point, I agree. It is likely to be faster, but that isn’t enough to make this into a good solution for most problems. Let me to point out a few cases where this fails to be a good answer. If the only way you have to build your model is to replay your events, then that is going to be a problem when the server restarts. Assuming a reasonably size data model of 128GB or so, and assuming that we have enough events to build something like that, let’s say about 0.5 TB of raw events, we are going to be in a world of hurt. Even assuming no I/O bottlenecks, I believe that it would be fair to state that you can process the events at a rate of 50 MB/sec. That gives us just under 3 hours to replay all the events from scratch. You can try to play games here, try to read in parallel, replay events on different streams independently, etc. But it is still going to take time. 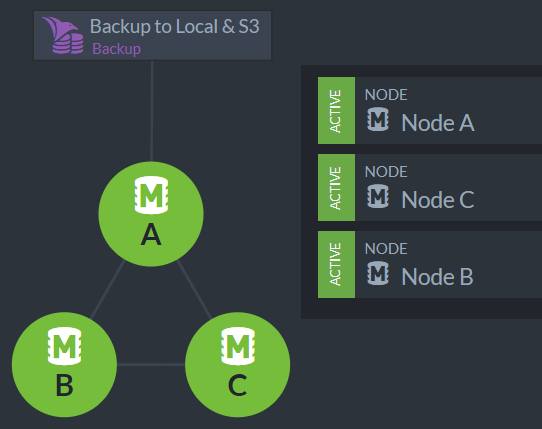 And enough time that this isn’t a good technology to have without a good backup strategy, which means that you need to have at least a few of these machines and ensure that you have some failover between them. But even ignoring that, and assuming that you can indeed replay all your state from the events store, you are going to run into other problems with this kind of model. Put simply, if you have a model that is tens or hundreds of GB in size, there are two options for its internal structure. On the one hand, you may have a model where each item stands on its own, with no relations to other items. Or if there are any relations to other items, they are well scoped to the a particular root. Call it the Root Aggregate model, with no references between aggregates. You can make something like that work, because you have a good isolation between the different items in memory, so you can access one of them without impacting another. If you need to modify it, you can lock it for the duration, etc. However, if your model is interconnected, so you may traverse between one Root Aggregate to another, you are going to be faced with a much harder problem. In particular, because there are no hard breaks between the items in memory, you cannot safely / easily mutate a single item without worrying about access from another item to it. You could make everything single threaded, but that is a waste of a lot of horsepower, obviously. Another problem with in memory models is that they don’t do such a good job of allowing you to rollback operations. If you run your code mutating objects and hit an exception, what is the current state of your data? You can resolve that. For example, you can decide that you have only immutable data in memory and replace that atomically. That… works, but it requires a lot of discipline and make it complex to program against. Off the top of my head, you are going to be facing problems around atomicity, consistency and isolation of operations. We aren’t worried about durability because this is purely in memory solution, but if we were to add that, we would have ACID, and that does ring a bell. The in memory solution sounds good, and it is usually very easy to start with, but it suffer from major issues when used in practice. To start with, how do you look at the data in production? That is something that you do surprisingly often, to figure out what is going on “behind the scenes”. So you need some way to peek into what is going on. 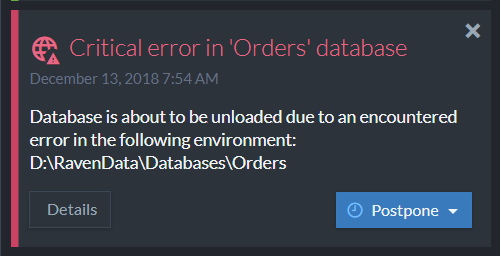 If your data is in memory only, and you haven’t thought about how to explore it to the outside, your only option is to attach a debugger, which is… unfortunate. Given the reluctance to restart the server (startup time is high) you’ll usually find that you have to provide some scripting that you can run in process to make changes, inspect things, etc. Versioning is also a major player here. Sooner or later you’ll probably put the data inside a memory mapped to allow for (much) faster restarts, but then you have to worry about the structure of the data and how it is modified over time. None of the issues I have raised is super hard to figure out or fix, but in conjunction? They turn out to be a pretty big set of additional tasks that you have to do just to be in the same place you were before you started to put everything in memory to make things easier. In some cases, this is perfectly acceptable. For high frequency trading, for example, you would have an in memory model to make decisions on as fast as possible as well as a persistent model to query on the side. But for most cases, that is usually out of scope. It is interesting to write such a system, though. Computation during indexes open up some nice features when we are talking about data modeling and working with your data. In this post, I want to discuss predicting the future with it. Let’s see how we can do that, shall we? We have a customer that is making monthly payments. This is a pretty straightforward model, right? We can do a lot with this kind of data. We can obviously compute the lifetime value of a customer, based on how much they paid us. We already did something very similar in a previous post, so that isn’t very interesting. I’m using Linq instead of JS here because I’m dealing with dates and JS support for dates is… poor. As you can see, we are simply looking at the last date and the subscription, figuring out how much we paid the last three times and use that as the expected next payment amount. That can allow us to do nice things, obviously. We can now do queries on the future. So finding out how many customers will (probably) pay us more than 100$ on the 1st of Feb both easy and cheap. This may seem a bit dense at first, so let’s de-cypher it, shall we? We take the last payment date and compute the average of the last three payments, just as we did before. The fun part now is that we don’t compute just the single next payment, but the next three. We then output all the payments, both existing (that already happened) and projected (that will happen in the future) from the map function. The reduce function is a lot simpler, and simply sum up the amounts per month. This allows us to effectively project data into the future, and this map reduce index can be used to calculate expected income. Note that this is aggregated across all customers, so we can get a pretty good picture of what is going to happen. A real system would probably have some uncertainty factor, but that touches on business strategy more than modeling, so I don’t think we need to go into that here. In my last post on the topic, I showed how we can define a simple computation during the indexing process. That was easy enough, for sure, but it turns out that there are quite a few use cases for this feature that go quite far from what you would expect. For example, we can use this feature as part of defining and working with business rules in our domain. As a user, I want to be able to see the offered warranty on the products, as well as to filter searches based on the warranty status. For new products made in house, full warranty for 24 months. For new products from 3rd parties, parts only warranty for 6 months. Refurbished products by us, full warranty, for half of new warranty duration. Refurbished 3rd parties products, parts only warranty, 3 months. Used products, parts only, 1 month. Just from reading the description, you can see that this is a business rule, which means that it is subject to many changes over time. We can obviously create a couple of fields on the document to hold the warranty information, but that means that whenever the warranty rules change, we’ll have to go through all of them again. We’ll also need to ensure that any business logic that touches the document will re-run the logic to apply the warranty computation (to be fair, these sort of things are usually done as a subscription in RavenDB, which alleviate that need). You can now query over the warranty types and it’s duration, project them from the index, etc. Whenever a document is updates, we’ll re-compute the warranty status and update the index. 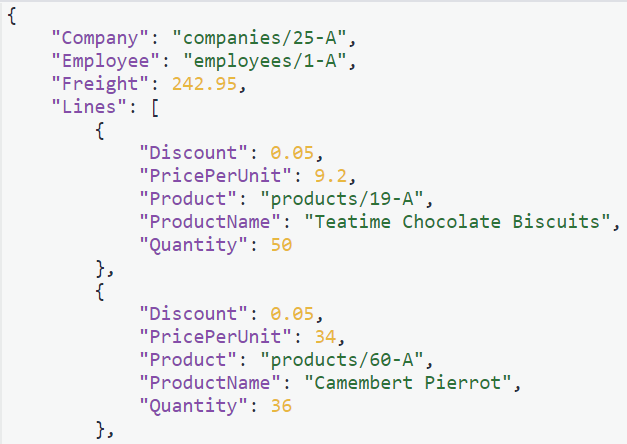 This saves you from having additional fields in your model and greatly diminish the cost of queries that need to filter on warranty or its duration (since you don’t need to do this computation during the query, only once, during indexing). If the business rule definition changes, you can update the index definition and RavenDB will effectively roll out your change to the entire dataset. That is nice, but even though I’m writing about cool RavenDB features, there are some words of cautions that I want to mention. Putting queryable business rules in the database can greatly ease your life, but be wary of putting too much business logic in there. In general, you want your business logic to reside right next to the rest of your application code, not running in a different server in a mode that is much harder to debug, version and diagnose. And if the level of complexity involved in the business rule exceed some level (hard to define, but easy to know when you hit it), you should probably move from defining the business rules in an index to a subscription. A RavenDB subscription allow you to get all changes to documents and apply your own logic in response. This is a reliable way to process data in RavenDB, this runs in your own code, under your own terms, so it can enjoy all the usual benefits of… well, being your code, and not mine. You can read more about them in this post and of course, the documentation. The title of this post is pretty strange, I admit. Usually, when we think about modeling, we think about our data. If it is a relational database, this mostly mean the structure of your tables and the relations between them. When using a document database, this means the shape of your documents. But in both cases, indexes are there merely to speed things up. Oh, a particular important query may need an index, and that may impact how you lay out the data, but these are relatively rare cases. In relational databases and most non relational ones, indexes do not play any major role in data modeling decisions. This isn’t the case for RavenDB. In RavenDB, an index doesn’t exist merely to organize the data in a way that make it easier for the database to search for it. An index is actually able to modify and transform the data, on the current document or full related data from related documents. 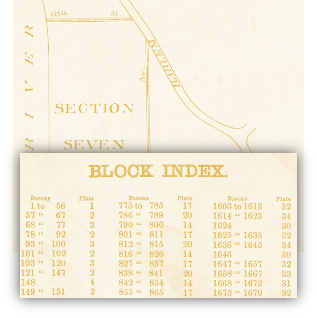 A map/reduce index is even able aggregate data from multiple documents as part of the indexing process. I’ll touch on the last one in more depth later in this series, first, let’s tackle the more obvious parts. Because I want to show off some of the new features, I’m going to use JS for most of the indexes definitions in these psots, but you can do the same using Linq / C# as well, obviously. When brain storming for this post, I got so many good ideas about the kind of non obvious things that you can do with RavenDB’s indexes that a single post has transformed into a series and I got two pages of notes to go through. Almost all of those ideas are basically some form of computation during indexing, but applied in novel manners to give you a lot of flexibility and power. As you can see, we have the Order document and the list of the line items in this order. What we don’t have here is the total order value. Now, actually computing how much you are going to pay for an order is complex. You have to take into account taxation, promotions, discounts, shipping costs, etc. That isn’t something that you can do trivially, but it does serve to make an excellent simple example and similar requirements exists in many fields. Such an index give us a computed field, Total, that has the total value of an order. We can query on this field, sort it and even project it back (if this field is stored). It allow us to always have the most up to date value and have the database take care of computing it. This basic technique can be applied in many different ways and affect the way we shape and model our data. Currently I have at least three more posts planned for this series, and I would love to hear your feedback. Both on the kind of stuff you would like me to talk about and the kind of indexes you are using RavenDB and how it impacted your data modeling. Most developers have been weaned on relational modeling and have to make a non trivial mental leap when the times comes to model data in a non relational manner. That is hard enough on its own, but what happens when the data store that you use actually have multi model capabilities. As an industry, we are seeing more and more databases that take this path and offer multiple models to store and query the data as part of their core nature. For example, ArangoDB, CosmosDB, Couchbase, and of course, RavenDB. Documents (JSON) – Multi master with any node accepting reads and writes. ACID transactions over multiple documents. Simple / full text queries. Binary data – Attachments to documents. Counters (Map<string, int64>) – CRDT multi master distributed counters. Key/Value – strong distributed consistency via Raft protocol. Graph queries – on top of the document model. With such a wealth of options, it can be confusing to select the appropriate tool for the job when you need to model your data. In this post, I aim to make sense of the options RavenDB offers and guide you toward making the optimal choices. The default and most common model you’ll use is going to be the document model. It is the one most appropriate for business data and you’ll typically follow the Domain Driven Design approach for modeling your data and entities. In other words, we are talking about Aggregates, where each document is a whole aggregate. References between entities are either purely local to an aggregate (and document) or only between aggregates. In other words, a value in one document cannot point to a value in another document. It can only point to another document as a whole. Most of your business logic will be focused on the aggregate level. Even when a single transaction modify multiple documents, most of the business logic is done at each aggregate independently. A good way to handle that is using Domain Events. This allow you to compose independent portions of your domain logic without tying it all in one big knot. We talked about modifying documents so far, but a large part of what you’ll do with your data is query and present it to users. In these cases, you need to make a conscious and explicit decision. Whatever your display model is going to be based on your documents or a different source. You can use RavenDB ETL to project the data out to a different database, changing its shape to the appropriate view model along the way. RavenDB ETL allow you to replicate a portion of the data in your database to another location, with the ability to modify the results as they are being sent. This can be a great tool to aid you in bridging the domain model and the view model without writing a lot of code. This is useful for applications that have a high degree of complexity in their domain and business rules. For most applications, you can simply project the relevant data out at query time, but for more complex systems, you may want to have strict physical separation between your read model and the domain model. In such a scenario, Raven ETL can greatly simplify the task of facilitating the task of moving (and transforming) the data from the write side to the read side. When it comes to modeling, we also need to take into account RavenDB’s map/reduce indexes. These allow you to define aggregation that will run in the background, in other words, at query time, the work has already been done. This in turn leads to blazing fast aggregation queries and can be another factor in the design of the system. It is common to use map/reduce indexes to aggregation the raw data into a more usable form and work with the results. Either directly from the index or use the output collection feature to turn the results of the map/reduce index to real documents (which can be further indexes, aggregated, etc). Thus far, we have only touched on document modeling, mind. There are a bunch of other options as well. We’ll start from the simplest option, attachments. At its core, an attachment is just that. A way to attach some binary data to the document. As simple as it sounds, it has some profound implications from a modeling point of view. The need to store binary data somewhere isn’t new, obviously and there have been numerous ways to resolve it. In a relational database, a varbinary(max) column is used. In a document database, I’ve seen the raw binary data stored directly in the document (either as raw binary data or as BASE64 encoded value). In most cases, this isn’t a really good idea. It blow up the size of the document (and the table) and complicate the management of the data. Storing the data on the file system lead to a different set of problems, coordinating transactions between the database and the file system, organizing the data, securing paths such as “../../etc/passwd”, backups and restore, and many more. These are all things that you want your database to handle for you. At the same time, binary data is related to but not part of the document. For those reasons, we use the attachment model in RavenDB. This is meant to be viewed just like attachments in email. The binary data is not stored inside the document, but it is strongly related to it. Common use cases for attachments include profile picture for a user’s document, the signatures on a lease document, the excel spreadsheet with details about a loan for a payment plan document or the associated pictures from a home inspection report. A document can have any number of attachments, and an attachment can be of any size. This give you a lot of freedom to attach (pun intended) additional data to your documents without any hassle. Like documents, attachments also work in multi master mode and will be replicated across the cluster with the document. While attachments can be any raw binary data and has only a name (and optional mime type) for structure, counters are far more strictly defined. A counter is… well, a counter. It count things. On the most basic level, it is just a named 64 bits integer that is associated with a document. And like attachments, a document may have any number of such counters. But why is it important to have a 64 bits integer attached to the document? How could something so small can be important enough that we would need a whole new concept for it? After all, couldn’t we just store the same counter more simply as a property inside the document? In a multi master cluster, if any node can accept any write, you need to be aware of conflicts, when two updates to the same value were made on two disjoint servers. In the case of documents, RavenDB detect and resolve it according to the pre-defined policy. In the case of counters, there is no such need. A counter in RavenDB is stored using a CRDT. This is a format that allow us to handle concurrent modifications to the same value without losing data or expensive locks. This make counter suitable for for values that changes often. Good examples of counters is tracking views on a page or an ad, you can distribute the operations on a number of servers and still reach the correct final tally. This works both for increment and decrement, obviously. Given that counters are basically just map<string, int64> you might expect that there isn’t any modeling work to be done here, right? But it turns out that there is actually quite a bit that can be done even with that simple an interface. For example, when tracking views on a page or downloads for a particular package, I’m interested not only in the total number of downloads, but also in the downloads per day. In such a case, whenever we want to note another download, we’ll increment both the counter for overall download and another counter for downloads for that particular day. In other words, the name of the counter can hold meaningful information. So far, all the data we have talked about were stored and accessed in a multi-master manner. In other words, we could chose any node in the cluster and make a write to it and it would be accepted. Data that is modified on multiple nodes at the same time would either be merged (counters), stored (attachments) or resolved (documents). This is great when you care about the overall availability of your system, we are always accepting writes and always proceed forward. But that isn’t always the case, there are situations where you might need to have a higher degree of consistency in your operations. For example, if you are selling a fixed number of items, you want to be sure that two buyers hitting “Purchase” at the same time don’t cause you problems just because their requests used different database servers. In order to handle this situation, RavenDB offers the Cmp Xcng model. 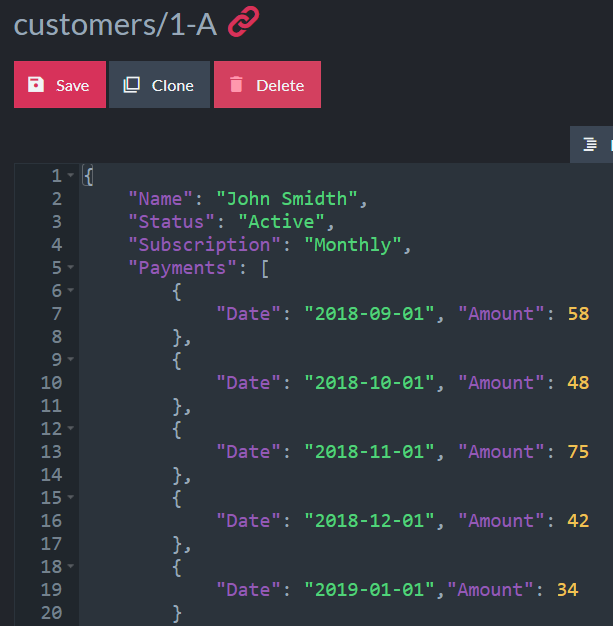 This is a cluster wide key/value store for your database, it allows you to store named values (integer, strings or JSON objects) in a consistent manner. This feature allow you to ensure consistent behavior for high value data. In fact, you can combine this feature with cluster wide transactions. Cluster wide transactions allow you to combine operations on documents with Cmp Xcng ops to create a single consistent transaction. This mode enable you to perform conditional operations to modify your documents based on the globally consistent Cmp Xcng values. A good example for Cmp Xcng values include pessimistic locks and their owners, to generate a cluster wide lock that is guaranteed to be consistent and safe regardless of what is going on with the cluster. Other examples can be to store global configuration for your system in all the nodes in the cluster. Graph data stores are used to hold data about nodes and the edges between them. They are a great tool to handle tasks such as social network, data mining and finding patterns in large datasets. RavenDB, as of release 4.2, has support for graph queries, but it does so in a novel manner. 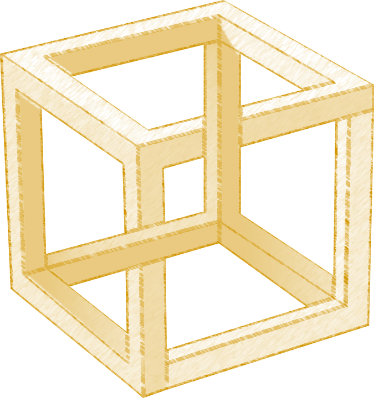 A node in RavenDB is a document, quite naturally, but unlike other features, such as attachments and counters, edges don’t have separate physical existence. Instead, RavenDB is able to use the document structure itself to infer the edges between documents. This dynamic nature means that when the time comes to apply graph queries on top of your existing database, you don’t have to do a lot of prep work. You can start issuing graph queries directly, and RavenDB will work behind the scenes to make sure that all the data is found, and quickly, too. The ability to perform graph queries on your existing document structure is a powerful one, but it doesn’t alleviate the need to model your data properly to best take advantage of this. So what does this mean, modeling your data to be usable both in a document form and for graph operations? Usually, when you need to model your data in a graph manner, you think mostly in terms of the connection between the nodes. One way of looking at graph modeling in RavenDB is to be explicit about the edges, but I find this awkward and limiting. It is usually better to express the domain model naturally and allow the edges to pop up from the underlying data as you work with it. Edges in RavenDB are properties (or nested objects) that contain a reference to another document. If the edge in a nested object, then all the properties of the object are also the properties on the edge and can be filtered upon. For best results, you want to model your edge properties as a single nested object that can be referred to explicitly. This is already a best practice when modeling your data, for better cohesiveness, but graph queries make this a requirement. 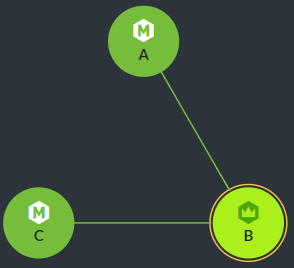 Unlike other graph databases, RavenDB isn’t limited to just graph representation. A graph queries in RavenDB is able to utilize the full power of RavenDB queries, which means that you can start your graph operation with a spatial query and then proceed to the rest of the graph pattern match. You should aim to do most of the work in the preparatory queries and not spend most of the time in graph operations. A common example of graph operation is fraud detection, with graph queries to detect multiple orders made using many different credit card for the same address. Instead of trying to do the matches using just graph operations, we can define a source query on a map/reduce index that would aggregate all the results for orders on the same address. This would dramatically cut down on the amount of work that the database is required to do to answer your queries. The final topic that I want to discuss is this (already very long) post is the notion of Revisions. RavenDB allow the database administrator to define a revisions policy, in which case RavenDB will maintain, automatically and transparently, an immutable log of all changes on documents. This means that you have a built-in audit trail ready for use if you need to. Beyond just having an audit trail, revisions are also very important feature in several key capabilities in RavenDB. For example, using revisions, you can get the tuple of (previous, current) versions of any change made in the database using subscriptions. This allow you to define some pretty interesting backend processes, which have full visibility to all the changes that happen to the document over time. This can be very interesting in regression analysis, applying business rules and seeing how the data changes over time. I tried to keep this post at a high level and not get bogged down in the details. I’m probably going to have a few more posts about modeling in general and I would appreciate any feedback you may have or any questions you can raise. Graph queries as I discussed them so far gives you the ability to search for patterns. On the right, you can see the family tree of the royal family of Great Britain going back a few hundred years. That make for an interesting subject for practicing graph queries. This is great, and nicely demonstrate how we can scan for specific patterns in the graph. However, it is limited by its rigidity. For example, let’s say that I want to find someone in the family tree and I’m not sure about the exact nature of the relationship? “We are not amused” comes to mind, but off the top of my head and without consulting the chart, I don’t think that I would be able to figure it out. Luckily, I don’t have to, I can ask RavenDB to be so kind and tell me. Note the use of the recursive element here. We are asking RavenDB to start in a particular document and go up the parents, trying to find an unamused royal. The recursion portion of the query can be zero to six steps in size and should abort as soon as we have any match. Following the zero to six parents, there should be a parent that is both a royal an unamused. The Cypher syntax for what they call variable length queries is reminiscent of regular expressions, and I don’t mean that in a complimentary manner. Looking at the query above, you might have noticed that there is a distinct difference between it and the first one. The recursive query will go up the Parents link, regardless of whatever that parent is royal or not. RavenDB Graph Queries has what I believe to be a unique feature. The recursive pattern isn’t limited to a single step and can be as complex as you like. 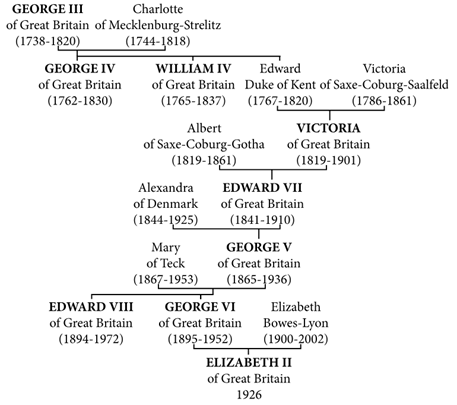 For example, let’s ensure that we are only going to go up the chain of the royal parents. All – find all the paths that match the pattern. Good for if you have multiple paths in your ancestry to Victoria.